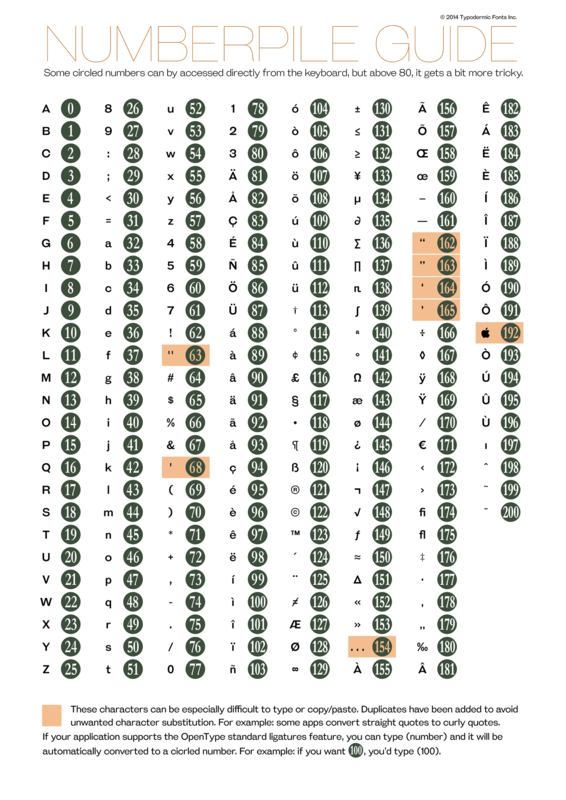 Numberpile is a set of circled numerals: convenient for maps & diagrams. Numberpile includes a handy guide for accessing numbers directly. If your application supports OpenType standard ligatures, you can type circled numbers by surrounding them in parentheses. For example: typing (100) will convert automatically to a circled 100.